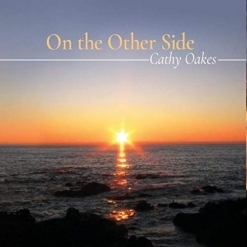 On the Other Side is the fourth album from pianist/composer Cathy Oakes and her first release in five years. The album is dedicated to Cathy’s late mother, Trellis McIntyre, and was released on her birthday. In the liner notes, Cathy writes: “Thank you, Mama. I love you and I’ll see you On the Other Side,” which obviously explains the title. The album was recorded at Dreamworld Productions and was produced, engineered, mastered and orchestrated by Doug Hammer. The orchestrations themselves are light and add depth and tonal color to the Cathy’s expressive piano. The seventeen tracks include pieces written for friends and family, as well as events in everyday life. All are original compositions except for an original arrangement that is a medley of two favorite hymns. It’s a very engaging collection sure to warm the heart and brighten the day! On the Other Side begins with “Hymn For Peace,” a prayer for our nation. 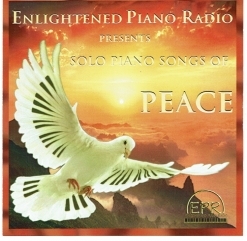 The melody is uncomplicated but deeply heartfelt, with a cello enhancing the poignance of the piano. “From This Day” was composed for Cathy’s oldest son and “daughter-in-love” (I love that!!!) to celebrate their wedding. The sweet melody and graceful flow of the piece express an abundance of love and tenderness - a favorite! “Home With Annie” is dedicated to the memory of Cathy’s cousin’s and his wife who are now reunited “on the other side.” A lovely oboe and cello accompaniment runs throughout the piece and is the perfect complement to the piano. “Puddle Dance” was inspired by watching the innocent joy of a friend and his granddaughter jumping in puddles after a rainstorm. Playful and carefree, I defy anyone to listen to this piece without smiling at least once! “Flight of a Princess” reflects the magic and wonder of a special place and a beloved daughter chasing her dreams. “Just Us” is a deeply emotional love song improvised as a Valentine gift for Cathy’s husband. Embellished with gentle string washes, it’s another favorite. “Midnight Tide” reflects on the way the joys and sorrows of life tend to ebb and flow as late-night thoughts when sleep won’t come. Cello again plays a lovely and emotive counterpoint to the piano. “Heal Me” was written as a prayer for healing and has the open-hearted sincerity of someone truly in need of comfort and support - another very beautiful piece! The hymn medley of “Be Still My Soul” and “It Is Well With My Soul” combines two favorite hymns of Cathy’s mother, her close friend, and her own - a stirring combination! The title track is the piece Cathy wrote as she processed her grief at her mother’s passing. Although the piece is sad, it expresses profound hope as well as a sense of loss - one of Cathy Oakes’ best and most moving pieces to date! I hope it won’t be another five years between albums, but On the Other Side was certainly worth the wait! 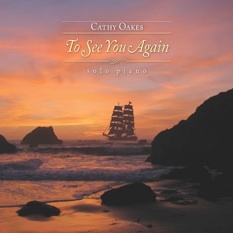 It is available from www.CathyOakes.com, Amazon, iTunes and CD Baby.